The stage is now set. The New England Patriots will take on the Atlanta Falcons in Super Bowl LI in Houston on February 5. Now, all you need is a new TV set to watch the game. 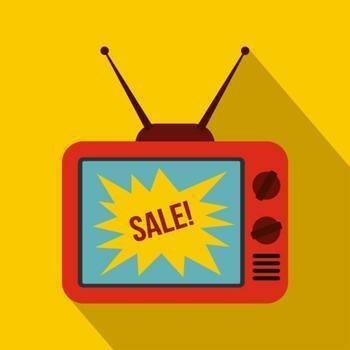 Even if you're not a fan and don't plan to watch, there will be some very attractive deals on TV sets in the next couple of weeks. Enough fans will decide to spring for a new set that retailers are stepping up the sale pressure to holiday levels. In fact, BestBlackFriday.com, a shopping site that normally tracks holiday deals late in the year, has issued its report on the best deals on TVs ahead of the big game. Phil Dengler, of Jones-Dengler Marketing, which operates the site, says the average TV set price drops 22% in the two weeks leading up to the Super Bowl. "I'd say the Super Bowl is a fairly significant event for retailers," Dengler told ConsumerAffairs. "While it is no Black Friday, we are noticing a lot of stores are featuring Super Bowl TV deals on the first pages of their weekly flyers. eBay also created a section for it." To demonstrate the savings, the site has prepared a side-by-side comparison of TV prices on Black Friday to what they sell for in advance of the Super Bowl. True, you may find more TV deals on Black Friday, but Dengler says the Super Bowl prices are not that far off. In some cases, you can do better than during the holidays. "For example, P.C. Richard & Son has the Sony 65-inch Class Ultra-Slim 4K HDR Ultra HD LED Smart TV XBR65X930D for $1,799.91 for the Super Bowl," Dengler said. "During Black Friday, they sold this same TV for $1,999.91, so this deal is $200 less than Black Friday." Samsung has a couple of sets that are also cheaper than on Black Friday, though not by much. The 2016 Samsung UN65KS9000 65-Inch 4K Ultra HD Smart LED TV at Amazon is $1,997.99, beating the Black Friday price by less than $2. The Samsung 40 Inch LED Smart TV UN40J5200 HDTV, along with a $100 Dell Promo Card, purchased at Dell.com is $329.99, $18 cheaper than on Black Friday. Other sale prices are the same as Black Friday or very close to the Black Friday price. Consumers in Boston and Atlanta may find even better deals, as local retailers may slash prices even more to compete for fans.